Revenue usage: 1960-1964 Numeral issue 3d, 6d, 9d, 1/-, 2/-, 3/-, 5/-, 10/-. Rarity Scale: Numeral issue 3d R4, 6d R4, 9d R4, 1/- R4, 2/- R4, 3/- R4, 5/- R4, 10/- R4. Background: *In 1961 David Constable formed the Stock Broking firm Constable and Co and took a seat on the Sydney Stock Exchange. Constable and Co traded until 1971 when they merged with Rudd, Bain, McDonald and Co to become Constable and Bain. Device: Most likely a single head device. 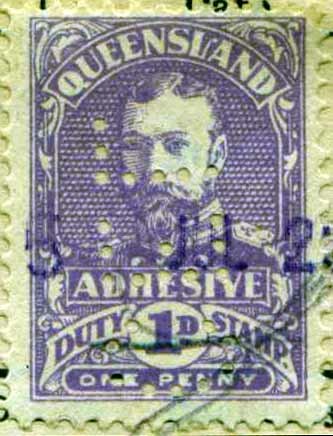 The same pattern is found on revenue stamps of NSW and Victoria but Constable and Company seem to have operated exclusively from Sydney so these C patterns are most likely all strikes for the same Sydney device. 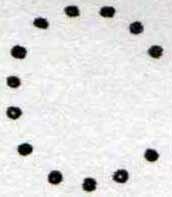 This C pattern is only found used on revenue stamps. 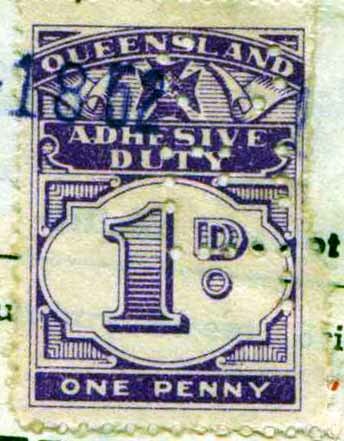 KGV 1917 issue 1d, 2d. 1d (5 script blue security backprint). KGV 1926 issue 1d, 2d, 3d. Numeral 1930 issue 1d, 3d, 2d, 6d, 1/-. till 1953. KEDVII 1d R4, 2d R4. 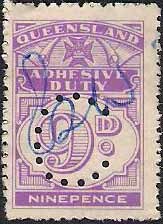 KGV 1917 issue 1d R3, 2d R4, 1d (5 script blue security backprint) R4. KGV 1926 issue 1d R2, 2d R2, 3d R4. Numeral 1930 1d R1, 2d R1, 3d R3, 6d R3, 1/- R4. 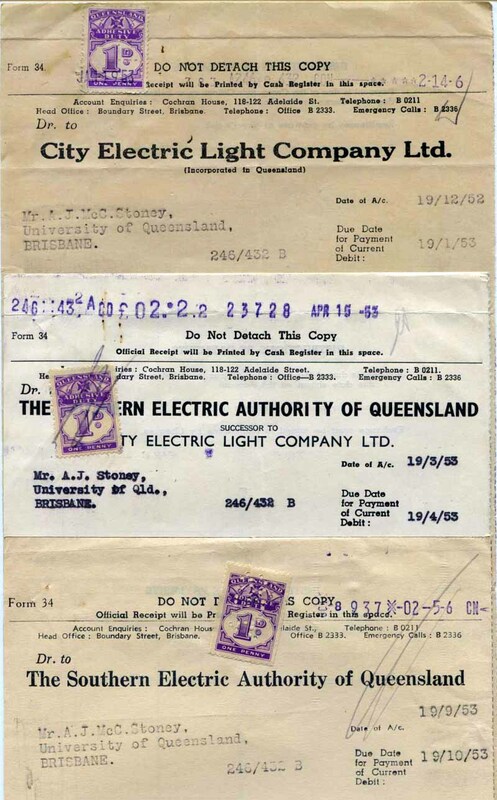 Background: The City Electric Light Company Limited (CEL) was formed in 1904 in the main from its successor the Brisbane Electrical Supply Company. The company were a Statutory Authority responsible for the generation and supply of electricity in Brisbane. The role included the promotion of electricity as an energy source and the sale of electrical appliances. The City Electric Company was taken over in 1953 by The Southern Electric Authority of Queensland (SEA) who were also perfin users, see SEA.a. The transition of perfin from CEL.a to SEA.a is shown on documents below. Device: Most likely CEL was a single head device. Due to the thinness of the revenue stamps of the period, it is normally found vertically on the stamp in positions 2, 4, 6, and 8. The CEL were known to have sought and gained approval to use a perforating service in September 1914. The pattern is also found on postage stamps.